It's no secret that parents want their children to have the lifelong cultural and intellectual advantages that come from being bilingual. Parents spend millions of dollars every year on classes, computer programs, and toys, all of which promise to help children learn a second language. But many of their best efforts (and investments) end in disappointment. Fancy private schools and expensive materials aren't needed. 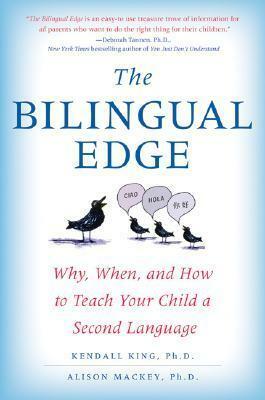 Instead, The Bilingual Edge translates the latest research into interactive strategies and quick tips that even the busiest parents can use.